Ooo, if it were an actual doll I'd probably buy it xP Very nice. 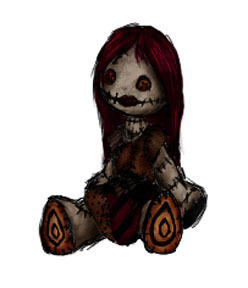 that's very cute... she looks just like a rag doll version of sally. i too love the coloring. nicely done. thank you everyone! ^___^ also, adobe photoshop CS for this one. What did you use to color? Its very good. Awesome XD she's adorable and super-cool looking.